Is it Time to Consider an Assisted Living Community? For seniors who are still able to maintain a moderate level of independence, but could use assistance with activities of daily life such as dressing, bathing, eating or medication management, assisted living communities are often the answer. In fact, assisted living is one of the fastest-growing options for long-term senior care today. Residents at assisted living communities may not yet require the 24-hour medical care provided by a skilled nursing home, but they enjoy the peace of mind that comes with knowing their current health needs are being met in a safe, comfortable environment. When seniors who live independently in a long-time home begin to experience a decline in overall health, starting the conversation about assisted living services can be difficult. Sometimes, seniors wish to remain living in their homes for as long as possible, even when their health and wellbeing are at risk. Many family caregivers want the same thing for their loved ones. Unfortunately, caregivers can easily become overwhelmed by their duties, or may not even be qualified to perform some of the tasks their loved ones need to thrive. This is why it’s important to recognize the common signs that assisted living services will improve your loved ones’ overall quality of life. Worsening health or decline in cognitive abilities. Aging brings a variety of chronic conditions like osteoporosis, arthritis, diabetes, heart disease and sometimes, memory impairment that disrupts daily life. These types of health conditions are difficult to manage without the support of professionals, and that’s where assisted living services are extremely beneficial. Loved ones are cared for around the clock, ensuring they stay as safe and as healthy as possible, while still maintaining the level of independence to which they are accustomed. Issues with mobility. The chronic conditions mentioned above present their own set of challenges to seniors in regards to how easily they are able to move about the home. Mobility issues include unsteadiness while walking or simply having trouble getting in and out of bed. This is when seniors are most at risk for debilitating falls. Difficulty maintaining the home. Health decline, mobility issues, and memory impairment can make it difficult to properly clean the home, do laundry or complete yard work like raking or shoveling snow. Caregivers are urged to watch for signs of neglect around the home, not only in its appearance but also taking note of things like unpaid utility bills or late payment notices. Concerns about their safety in the home. Along with maintaining the home and finances, simply staying safe while living independently can become challenging for aging loved ones. Perhaps the bedroom and bathroom are located on a second floor, but climbing the stairs has become dangerous due to mobility issues. Or, perhaps a loved one has become increasingly forgetful and has been known to leave the stove on after cooking or frequently leaves the front door unlocked. Increased time spent alone. Seniors who live in their homes are often faced with social isolation, especially when driving is no longer safe for them. Continuing to build relationships with others and staying socially connected are important keys to healthy aging, as loneliness often leads to depression and other health concerns. Assisted living communities to offer a wide variety of daily and weekly activities to encourage those vital social connections. While the fear of losing independence is often cited as a major concern about moving to a senior assisted living community, many residents report major improvements in their quality of life. The daily services and amenities provided make life easier, actually enhancing their personal freedom. 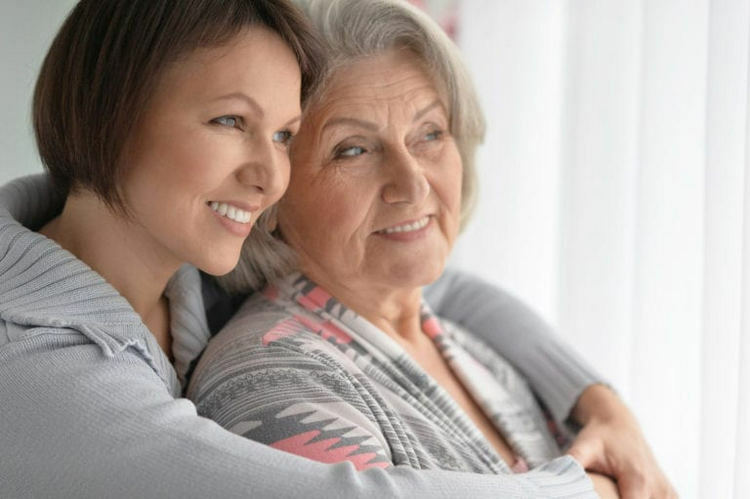 Plus, another great benefit of assisted living is the fact that as family caregivers are relieved of their caregiving duties, they are offered more opportunities to simply enjoy visiting with their loved ones. Find the right blend of support and independence in the assisted living neighborhood at Peabody Retirement Community. Choose from one- or two-bedroom suites with age-friendly features and a variety of amenities, plus individual care plans to ensure optimal health, now and in the future. For more information about our services, please contact us today to schedule a personal tour.